Corporate information | Compliance | AOI ELECTRONICS CO.,LTD. We have released many products since 1969, the day of establishment, with "It is aim of AOI Electronics Co., Ltd.to make a meaningful contribution toward creation of better world for all, by providing reliable products, developed with enthusiasm, sincerity and creativity." as company policy. It is our duty to abide by the ordinance and corporate ethics constantly and to conduct fair business activities in order to keep high reputation as a responsible company, in this high-flying environmental changes and the escalation of intercorporate competition in recent years. Company activity is consisted by accumulation of each executives' and employees' behavior. 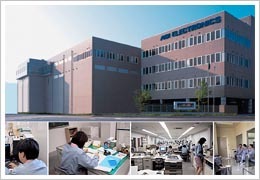 AOI Electronics Co., Ltd requires to all of executives and employees who are belonging to our company group to fully recognize "AOI Electronics behavior charter" and behave more responsibility. All of executives and employees belonging to AOI Electronics Co., Ltd. company group recognize the realization of this charter's spirit as own role and take the initiative in working the role on the model for the thoroughness of corporate ethics. Should the situation against the spirit of this charter have arisen, all of executives and employees belonging to our company group have to work on the problem with highest priority, look into the cause of the problem and take preventive steps. (1) To assess market and customer needs correctly and provide safe and useful product to society. (2) To provide correct information on our product. (3) To keep up the fair business relationship, create our future mutual growth by transparent and free competition and�@build firm and long-term relationship of mutual trust. (4) To protect the information from our customers appropriately and respond sincerely to it. (1) To be devoted to production with the very basic policy, such as quality first, cost reduction, and strict observance of delivery time. (2) To create new products which win the admiration of society, and contribute to better life and cultural development. (3) To establish the result of research and development as intellectual property rights, and respect the rights of third party. (1) To disclose business information willingly and fair to shareowners and Stakeholder as well as to society. (2) Never to give favors on shareowners' execution of right and commit insider trading by people concerned to our company. (3) To work on elimination of antisocial forces. (4) To maintain the transparent, healthy and proper relationship with the government and administration. (1) To establish human affairs condition system all employees can realize own capabilities to the full. (2) To provide equal employment opportunity without discrimination in employment. (3) To respect employees' identity and work on personnel ability development and establish own careers through education and training. (4) To realize better working environment through sincere dialogue and discussion with laborers' union. (5) To prevent sexual harassment and power harassment. (6) To fully understand working regulations and never to act in had behavior such as prohibited matter and against the spirit of working regulations. (1) To recognize the importance of environmental protection and reduce the effects on the environment and environmental risks on our business activities. (1) Consultation services receive the following particulars; "Law violation and ethical misconduct which happened and may happen in our company group". Please inform the department directly about the general request of no concern to compliance. (2) You can point out the problem directly to person in charge of such behavior, without the necessity of using consultation services in order to find solutions to problems promptly. The person in charge who received the point has to report the problem to consultation services. (3) As a general rule, you have to provide your name, your department, or contact information. If you request anonymity, please inform that effect. And in that case, please explain the fact relevance as much as possible, because it's difficult to confirm after that. We won't investigate the name of anonyms. (1) The problems consulted to consultation services will report to compliance promote committee as long as the problems are in adherence with the spirit of this system. (2) Compliance promote committee looks into the matter and takes corrective action and preventive steps in case of necessity. If it needs to be done, we will announce to the public. (3) If you want, we will inform you about findings, countermeasures and so on of compliance promote committee. Please come forward at your consultation if you want. (4) You have no need to worry about unfavorably treatment on personnel affairs or other because of your consultation to consultation services. If there is any chance of unfavorably treatment, compliance promote committee will devise steps to restore previous treatment.